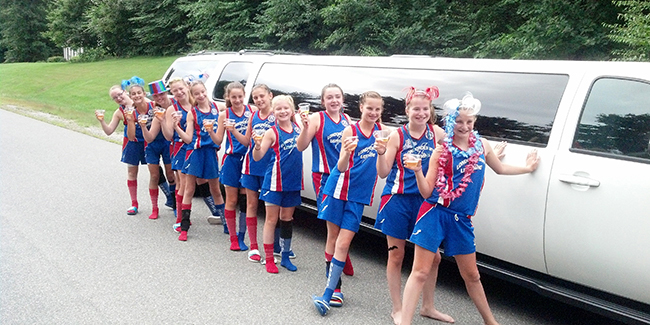 Luxurious Limousine Service for Proms, School Dances, Birthdays and More! No Prom night is complete without a luxury limousine from our Prom limo rental! We also provide limousine service for Homecoming, Turn-About dances and more throughout Newburyport, MA, and the New Hampshire Seacoast, as well as surrounding areas! Make an unforgettable entrance with a Prom limousine in Boston's North Shore. 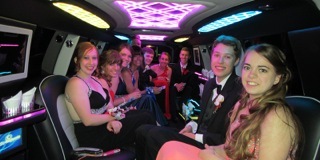 Moonlight Limousine offers prom limos in Newburyport, Ipswich, Haverhill, and more. Book your next school dance or prom limousine with us! Celebrate this traditional rite of passage with one of our beautiful affordable limousines! Our Quinceañera limousines will make for a birthday entrance no one will ever forget! Moonlight Limousine offers luxury car services for Quinceañeras, birthday parties, Sweet 16s, and Bar/Bat Mitzvahs. If you're looking for a Quinceañera limo in the North Shore, let Moonlight guide the way! Besides Quinceañeras, make any birthday a day to remember with one of our limos, whether its a Sweet 16, 21st birthday, or just any age you may be turning! Enjoy a night on the town for your 21st birthday with a luxury ride from Moonlight Limousine. We can provide charter limo services to Boston, Newburyport, or anywhere in the North Shore to make for an unforgettable birthday evening. Make your next birthday special with a Moonlight Limousine. Looking for graduation limousines in the North Shore? Moonlight offers a variety of student transportation services to schools throughout the North Shore area: Newburyport, Haverhill, Peabody, Andover, and more. Besides limousine, we can also provide group transportation for families to graduation. We offer town cars, minivans, and executive vans for group transportation services. Flying into Logan Airport? We can provide airport transportation for visiting relatives as well. Be sure to book your graduation limos and car services in advance. If you're headed out of town for Spring Break, Moonlight Limousine offers a variety of transportation options in Newburyport and Boston. We can provide Spring Break transportation to Logan Airport or car services throughout the city. Parents can rest easy knowing that safety is a top priority at Moonlight Limousine. We're parents too and we can help you to feel confident that our professionally trained, licensed, insured drivers will chauffeur your children safely to and from their events. You won't find a safer prom limo rental anywhere! 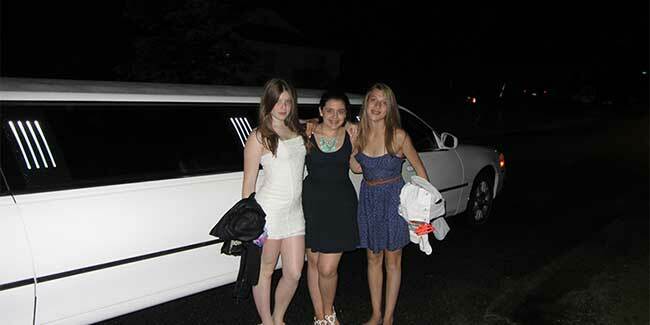 Book your next prom limo, birthday limo, or student car service with Moonlight Limousine.